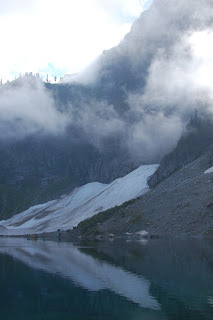 Lake Serene sits above Index, just off US-2. There is perhaps 2000ft of elevation gain through second-growth rainforest before getting to the lake. Arriving at the trailhead before 10am meant that we had the trail to ourselves going up, and a constant stream of red-faced hikers facing us on the way down.